After nearly 100 years, the National Park Service holds some of the country's most beautiful and historic places. It also suffers from an $11 billion backlog of unfunded maintenance. And visitors are aging and mostly white. The park service's centennial is approaching. In 2016, it will mark 100 years. The park service is launching a campaign to raise support and court a younger, more diverse visitor base. First lady Michelle Obama and former first lady Laura Bush will co-chair the campaign. Americans will be called upon to "Find Your Park." Sustaining the parks and keeping them relevant to visitors far into the future is a challenge. Many facilities date back 50 years or more. Some are in danger of failing, such as a 70-year-old water pipeline at the at the Grand Canyon. That could cut off the water supply to the site, National Park Service Director Jonathan Jarvis said. 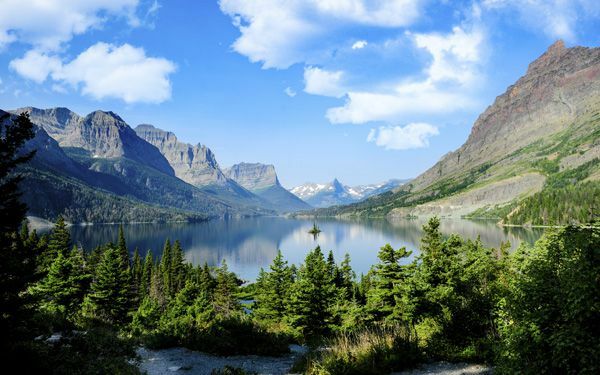 Lodging at Glacier National Park needs a major overhaul. The nearly 100-year-old Memorial Bridge in Washington needs at least $150 million in repairs. That's more than the agency's entire annual construction budget. Behind the scenes, officials are seeking to expand fundraising through the National Park Foundation. They also want to bolster congressional support to improve the parks. This is the third major campaign in the national parks' history. The deplorable park conditions in 1915 originally led to the creation of the National Park Service. In the 1950s, there were calls to close parks because of their neglected conditions. That inspired a campaign to rebuild infrastructure and invite returning World War II veterans and their families to visit parks. The memorable slogan "See the USA in your Chevrolet" was created. "They came in droves," Jarvis said of today's baby boomer generation. "They are our base today... The question that we're facing is who's going to be the next generation of park supporters." However, there is a problem. Those visitors tend to be older and whiter than the U.S. population overall. "If we were a business and that was our clientele, then over the long term, we would probably be out of business," Jarvis said. In studying public perceptions, park officials found many people think national parks are only in the West. That's where Yellowstone and Yosemite are located. The officials want people to understand that urban sites also are national parks. A few of those include the Statue of Liberty, Independence Hall in Philadelphia, Little Rock, Ark., Central High School and the Lincoln Memorial in Washington. Over the next year, an advertising campaign will show how people connect with their favorite parks. There are corporate sponsors including American Express, REI and Humana that are also supporting the effort. To broaden access to the parks, all fourth grade students and their families will get free admission to national parks during the next school year. Celebrities are getting involved, too. The science guy Bill Nye, actresses Bella Thorne and Roselyn Sanchez, E! News anchor Terrence J. and singer Mary Lambert are urging millennials to put down their smartphones for time in parks. President Barack Obama requested an increase of $432 million to support the National Park Service in his 2016 budget proposal. It's a request that would lift the agency's budget to $3 billion annually. The money would address deferred maintenance and other needs. It likely will face resistance in Congress. During a recent hearing, Republican Rep. Tom McClintock of California said Congress must ensure the parks are well maintained. But he said the park service is plagued by "a clash of visions." The issue is between open access and new policies limiting access or amenities in some areas. He said the agency should be cautious about naming new parks. He wants the current parks to be fixed first. A campaign is under way. The goal is to raise hundreds of millions of dollars to rebuild historic infrastructure with private funds. Campaign planners hope public support will also help build congressional support. Interior Secretary Sally Jewell put the issue bluntly. "If we don't reach out and become relevant to a broader population, we won't have the support the parks need to do their jobs in the future." Critical thinking challenge: Why have supporters focused their efforts on seeking funds from private and corporate sponsors, rather than Congress? Journey to World Festival - Meet Us in St. Louis! I think it's great that these people are putting all this effort into this program. My generation in my opinion is less active as past generations so I am in favor of what these people are doing. The national parks are not making enough money from tourism. There is a backlog of billions of dollars for repairs and building some new facilities and amenities for the park. Also, most visitors are old white people, and there is a perception of parks only being in the west of the U.S. Many celebrities are starting a campaign to keep people coming. I thought it was interesting how little funding the parks get. National parks are a very beautiful sight. They are very nice to see and visit. What do you think is the nicest national park to go see and visit? The national parks are not making enough money from tourists,and there is a backlog of billions of dollars for repairs and building some new facilities and amenities for the park that improved the parks .There are also a lot of celebrities who are starting a campaign to keep people coming. I think it is interesting how a national park doesn't get a lot of money. This is sad. I am so surprised that people do not want to see historic sites and memorials, but I guess that this generation is so engulfed in their electronics that site seeing is not really in their agenda. I am glad that people care to rebuild and fix these historic sites. I am also glad that actresses and famous celebrities are enforcing it because this might change some of the younger generations minds! The United States has begun to have its National Parks slip up on maintenance, and its visitors are mostly older Caucasian people. In 2016 the parks service will be a hundred years old. To honor this the park service are creating a campaign to raise more funds for the parks and to appeal to a younger more diverse group of visitors. The campaign will be called "Find your park" and will be co-chaired by Michelle Obama and Laura Bush. Lots of the infrastructure at national parks is very old and needs constant maintenance and really to be replaced. 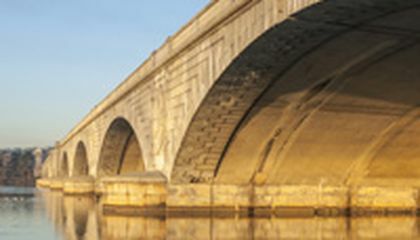 Washington's one hundred year old memorial bridge has and estimated 150 million dollars in repairs, that is over the agencies entire construction budget. People are hoping to improve fundraising for the National Park Foundation as well as gain more of congress' support for the bettering of the National Parks. I think that this is a very needed campaign and I think that it is very displeasing to know how badly the country has let some of our parks erode. It really can be dangerous when people think of how bridges and other items need so many repairs. I think that national parks are an important part of the history and image of a nation. There are beautiful places in the USA and historical monuments, buildings, etc. As citizen from a nation, we must protect and support this places because is a part of us, of all, of our history. We can learn a lot of things visiting this national parks. I agree with seeking support in private enterprises because they have a lot of money, and if they want to use it for a good cause, as supporting this kind of things, that will be ok. In my opinion, our National parks are very important to young individuals and to the environment. They are something to be treasured and it should stay that way for years to come. I am happy they have decided to do their best to clean up our parks and make them more enjoyable for all people and not just older white people. The park service's centennial is approaching. In 2016, it will mark 100 years. The park service is launching a campaign to raise support and court a younger, more diverse visitor base. First lady Michelle Obama and former first lady Laura Bush will co-chair the campaign. I think that we need to recover national park's historic places because the national park was suffering from pollution which we need to help it recover from all the things that national park had suffered from back then. Well if we are going to recover national park to its original place because nowadays, people who littered must clean up where they dropped it.